Nice dark chocolate (72% cocoa), made by Redstone Foods in Texas. 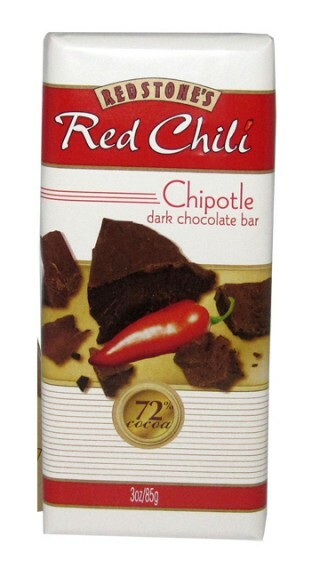 Infused with chipotle chili pepper, this has a methodically increasing heat level as the chocolate washes away out of your mouth. The heat is pretty even and strong, and hits its peak about half a minute after the last bit of chocolate is gone….